Happy Giving Tuesday!! Giving Tuesday is a worldwide philanthropic movement to push for donations after a materialistic weekend with Black Friday and Cyber Monday. 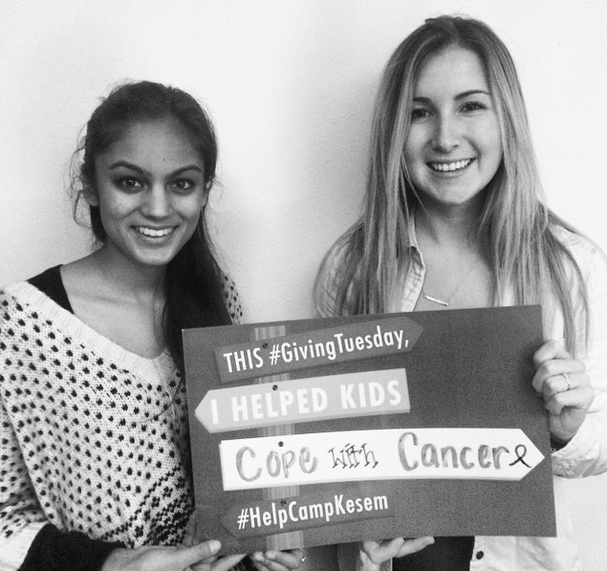 This year I am supporting Camp Kesem! For those of you who don’t know what Camp Kesem is, it is a nonprofit organization run by student leaders supporting children through and beyond their parent’s cancer. I Kesem because I understand what these kids are going through. I take full pride in the family that I come from and can never stop thanking the people who have supported me through the toughest time of my life, but unfortunately a lot of these kids who attend Camp Kesem as a camper cannot say the same thing.